William Hill Macau is a fresh venture from the global gambling operator, following in the footsteps of its Vegas-themed channel. Named after China’s world-renowned gambling region, William Hill Macau was launched in December 2015 and features gaming content with a distinctly Asian theme. Please note that William Hill’s global gambling services are licensed in Gibraltar, while British services are licensed in the UK. William Hill continues its partnership with software developer Playtech for its Macau venture. Additionally, the Macau channel is also powered by casino software from developers Scientific Games and Evolution Gaming. The gaming library features a blend of live dealer games and video slots, with the latter representing the larger category. William Hill Macau has made it easy for players to find Asian-themed games by grouping together the relevant live dealer games and video slots. The live dealer games include specialised options like Macau Roulette and Macau Baccarat. A fantastic touch is that special cameras angles are available to let players watch the live dealers perform the iconic Macau squeeze on the cards. This is considered to be lucky for players and highlights the level of detail that has gone into creating William Hill Macau. There is an abundance of Asian slots on hand, including titles like Thai Princess, 50 Dragons, Lucky 88, Cherry Blossoms, Lucky Koi, and Eastern Dragon. Players can also try out other slot games such as Thunderstruck, Miss Kitty, and Toy Factory. Additionally, William Hill Macau also provides specialised instant-win games in the form of Macau Big Wheel and Macau Sic Bo. 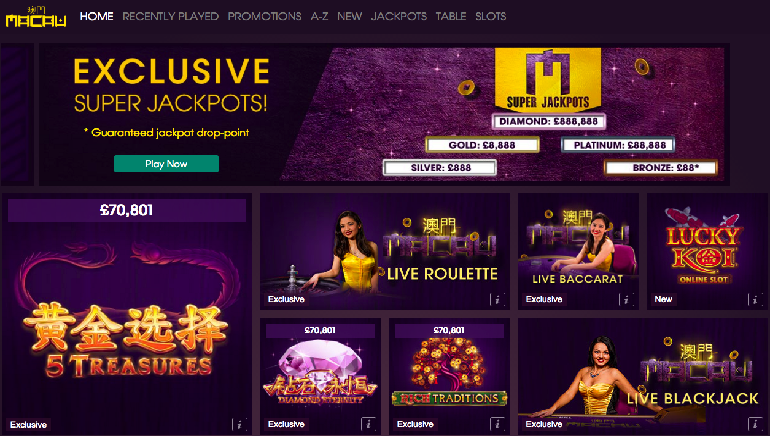 Overall, William Hill has developed a faithful online casino experience for Macau enthusiasts. 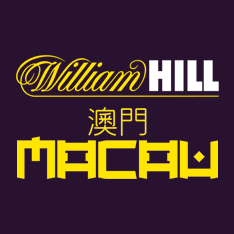 William Hill Macau has been built using the same HTML5 infrastructure as the casino channel. Basically, it means that the Macau channel can also be accessed on HTML5 mobile devices. These include the likes of Android, Windows, iPad, and iPad. William Hill can accept deposits from the world’s leading payment providers, with the best-known including MasterCard, Maestro, VISA, POLi, PayPal, ClickandBuy, Neteller, EUteller, Skrill, paysafecard, and Trustly. All banking options are protected by state-of-the-art SSL technology.